I don’t want to claim that Florida has finally got to me, but there’s something about citrus scents that I can’t get enough of right now. After wearing the Body Shop’s Pink Grapefruit body mist for the past few months, I know that I flipping love the smell of grapefruit, so I’ve been on the hunt for a decent perfume to upgrade to. The Body Shop’s fragrance is all well and good, but it’s so light and diluted that the scent doesn’t hang around for too long. I’m also trying to find the balance between smelling like I hugged a grapefruit tree and smelling like citrus-scented toilet fragrance. 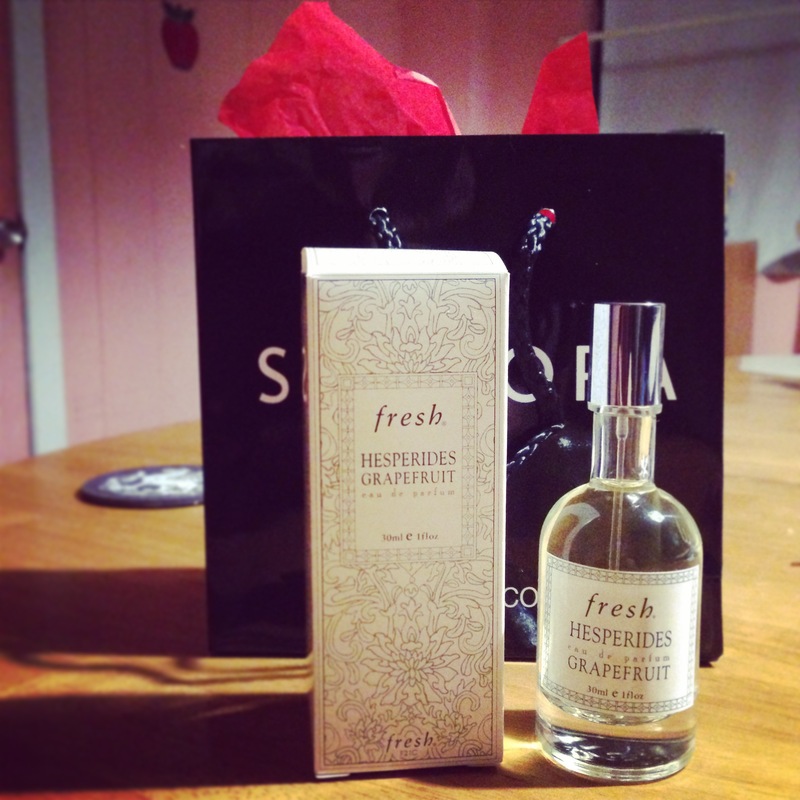 I’ve owned Fresh fragrances before and have liked all of them, and although this product had a mixed spectrum of reviews such as, “I never smell commercial cleaner, only fresh beautiful grapefruit,“My only complaint is it goes on very strong at first but then it doesn’t last very long at all,” and, “A bowl of pink grapefruit sprinkled with sugar in a perfume,” I felt it was worth a try. Anyhow, I popped into the Sephora store in Jacksonville and, after a little light spitz on my wrist to sensitivity and sniff test, bought a bottle. It’s been a couple of weeks since I started wearing it and, although it’s good, it doesn’t quite live up to the price tag or Fresh brand. It has a surprisingly short lifespan for an Eau De Parfum. You could almost believe it was Eau de Toilette. I have to reapply it throughout the day to maintain any hint of scent. When immediately applied, the lovely fresh smell of grapefruit comes through, however that rapidly loses the tart sharpness of grapefruit and quickly fades into what ends up smelling more like a Mandarin/Satsuma. Not too impressed with this product, almost definitely would not repurchase and my hunt for a zingy, lively, awakening grapefruit-dominant perfume continues. Any USA-available suggestions you may have would be greatly welcomed!